Reach millions of targeted new customers at the precise moment they're looking for the products and services you're selling with help from this hands-on guide. 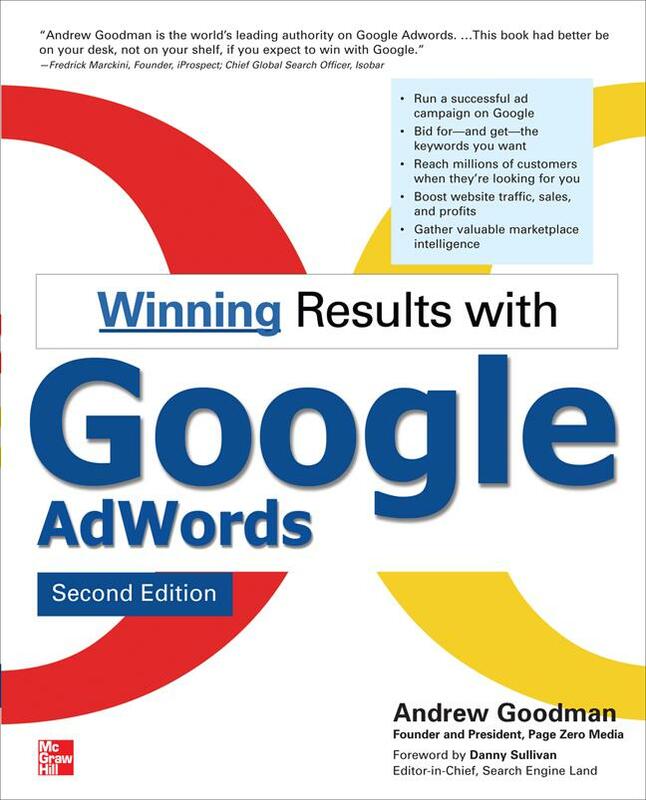 Winning Results with Google AdWords, Second Edition reveals the latest strategies for writing successful ads, selecting and grouping specific keywords, increasing conversion rates, and maximizing online sales. You'll also learn how to expand your ad distribution, test and tweak your ads, track results, and much more. Find out how boost visibility and increase profits with a Google AdWords campaign! Andrew Goodman is principal of Page Zero Media, a marketing agency which focuses on maximizing clients' paid search marketing campaigns. He is the author of the first edition of this book.